Letter accompanying donation. Mrs. Hardenbergh says she is very interested in the work the school is doing and wishes she could give more. 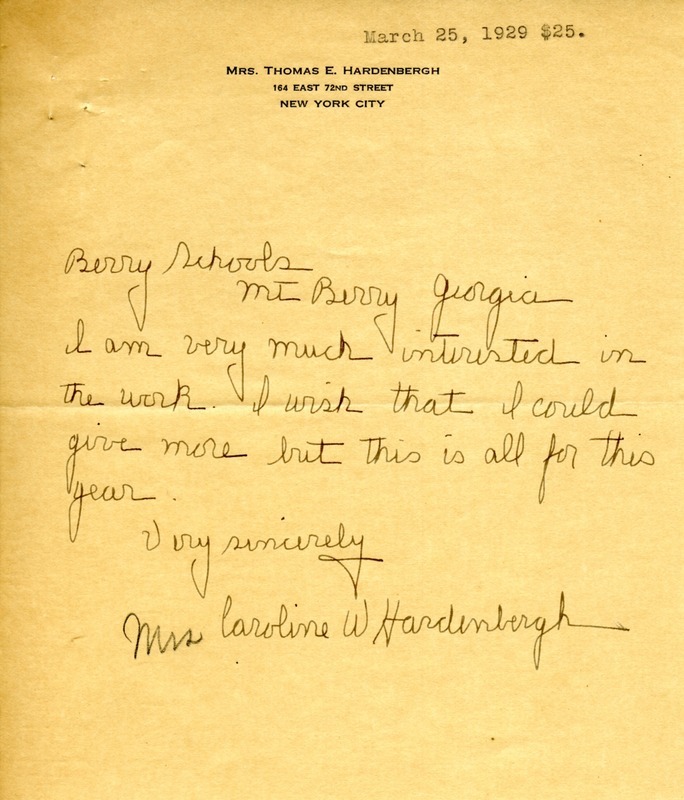 Mrs. Caroline W. Hardenbergh, “Letter from Mrs. Caroline W. Hardenbergh.” Martha Berry Digital Archive. Eds. Schlitz, Stephanie A., Julia E. House, et al. Mount Berry: Berry College, 2012. accessed April 25, 2019, https://mbda.berry.edu/items/show/10217.